ACE and its members organised a high level debate on the challenges and opportunities to deliver an effective circular economy in Europe. Kindly hosted by Giovanni La Via MEP (EPP) and Simona Bonafè MEP (S&D), the debate took place on Tuesday, 23 February 2016 from 18h30 to 20h00 at the European Parliament in Brussels, Room PHS5B001. Mr. Giovanni La Via is a Member of the European Parliament since 2009. He has been Rapporteur for the new Common Agricultural Policy 2014-2020 and General Rapporteur for the EU budget 2013. Since July 2014, he serves as Chairman of the Committee on Environment, Public Health and Food Safety (ENVI) of the European Parliament.He has served as Regional Minister for Agriculture and Forest in Sicily (2006-2009). He is full Professor at the University of Catania. As a delegate of the Rector of the University of Catania, he started and co-ordinated the “European Office” working on European projects planning and management between 1994 and 2000. He has been responsible for several research projects (Sprint, Rittz, Fair). He has been named as expert evaluator of the 5th RTD Framework Programme. He is the author of many scientific papers and articles published in referred national and international journals. Simona Bonafè ran as head of list of the Italian Democratic Party (PD) for the European Parliament election in May 2014 and was elected, for her first mandate, with the highest number of preferential votes among Italian MEPs. In the European Parliament she is a member of the Progressive Alliance of Socialists & Democrats (S&D) and sits as Member in the Committee for Environment, Public Health and Food Safety (ENVI), and as Substitute Member in the Committee on Industry, Research and Energy (ITRE). She is vice-chair of the Long Term Investment Intergroup. MEP Bonafè was elected to the Italian Lower Chamber in 2013, sitting in the Committee for Economic Activities and Trade. Prior to that, for over 10 years she was engaged in local politics in Tuscany, where she served as Municipal Council Member for Environment. Since joining the Commission in 1986, Daniel Calleja has worked in several different areas which accounts for his broad expertise and experience. Daniel Calleja started his career in the Commission as Member of the Legal Service between 1986 and 1993. During that period, he represented the institution in numerous cases before the European Court of Justice. Before being appointed Director General for DG Environment on 1st September 2015, he was Director General of DG GROWTH. From 1993 to 2004, Mr. Calleja worked in the cabinets of several Commissioners, including the President of the European Commission, advising on Transport and Competition matters, State Aids and the application of Community Law. Between 1999 and 2004 he was Head of Cabinet of Commissioner Oreja and of Vice-president Mrs. Loyola de Palacio. 2012-2013 Responsible for Finance and accounting, Treasury, M&A Corporate finance, IT and Internal Audit. 2008-2012 Member of the Board of Management. Responsible for Finance and accounting, Treasury, IT and Real estate. 2003-2007 Responsible for Finance, Treasury, Customer finance, IT, Real estate for Ericsson and chairman for all business in Latin America and India. 2002-2003 Creating the foundation of Ericsson services business, based on the experience from Australia and New Zeeland. 1999-2002 Head of Ericsson business in Australia and New Zeeland, including R&D and global system support. 1997-1999 Responsible for creating a global treasury organization including customer and project finance. 1992-1997 Controller at that time for the largest business area within Ericsson. 1988-1991 CFO for Ericsson last telephone operations in Argentina. The work included IT and commercial responsibility. The company was successfully sold in 1992. 1985-1988 Joined Ericsson as a trainee within financial management. During the first years the training included 6 month working periods in USA and Australia. During my studies I worked during summer vacations and when ever possible as a currency dealer 1982-1985. French and German easy conversation. Kristian Hall is Director Environment at Elopak Group Headquarters in Oslo, Norway. Kristian Hall joined Elopak in 2013 from Scatec Solar, a global provider of solar photovoltaic power plants, where he served as Vice President Supply Chain. Kristian Hall holds an MSc degree in Environmental Engineering from the Norwegian University of Science and Technology. Pieter de Pous holds a master degree in forestry sciences from the University of Wageningen in the Netherlands. Since 2005 he has worked in the policy unit of the European Environmental Bureau, coordinating the organizations advocacy work in the areas of biodiversity, water, soil, bio-energy and agriculture policies. Since September 2010 he is the EEB’s policy director. Managing a team of 12 policy officers, he leads the EEB’s policy work with a focus on horizontal issues like natural resources, ‘better regulation’, trade and environmental governance. He is also chairman of the board of ECOS, a specialized NGO representing environmental interests in standardization and sits on the NGO’s Board of Seas At Risk and Green Budget Europe. Between March 1 and May 1 2011 he was acting Secretary General of the EEB. Erika Mink is the Vice President Public Affairs at Tetra Pak, a global market leader in food processing & packaging solutions with more than 23.000 employees. She has a longstanding experience in the area of sustainability and related public policies; particularly in areas such as packaging and extended producer responsibility, recycling, resource management, renewable materials and economic development. 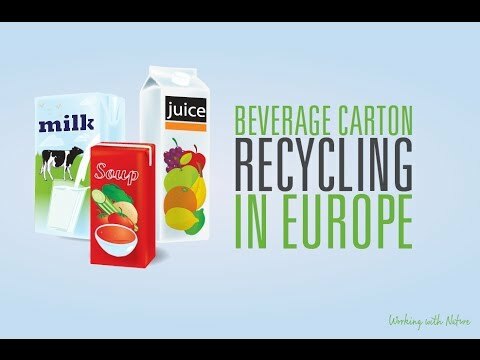 She serves as Board Member of The Alliance for Beverage Cartons and the Environment (ACE) and as vice-chair in the Executive Committee of the European Association for Packaging and the Environment (EUROPEN). Prior to joining Tetra Pak, Erika worked for a leading international consulting firm where she provided advice to clients in industry, development cooperation and finance institutions and government agencies on environment management and technologies, capacity building and institutional development. Erika Mink received her M.Sc. in Engineering from the University of Applied Sciences, Giessen-Friedberg, School of Environmental Engineering and Industrial Hygiene (Germany) and studied Engineering at the University of Maryland (USA). Katrina has around 20 years’ experience in communications as a media trainer, voiceover artist, campaign director and event moderator/presenter. A former Director of a London-based TV PR company, where she interviewed high-profile figures from the worlds of art, sport, film, business and politics, Katrina brought her skills to Brussels in 2007. She moderates events of all sizes and formats, from workshops, debates and conferences to high-level symposia and award ceremonies, and covers a wide range of topics/policy areas. She also has a strong track record managing Europe-wide multimedia communications campaigns and projects for the EU institutions aimed at the public and stakeholders. Clients include DG ENVI, DG AGRI, DG MARE, DG EMPL and DG ENER. This adds specific value to her style and skills as a moderator. Recent event work includes a one-day conference on Separate Waste Collection within the context of the Circular Economy (EC Charlemagne building), EE Europe Sustainable Music Awards (Estrella Damm, Barcelona); Air Quality Round Table with MEP and rapporteur of NEC Directive, Julie Girling, for EUROCITIES Annual Conference (Malmö); World Café style debate around Big Data and Innovation at the Committee of the Regions; the opening ceremony of EDD15 with five high-level speakers including EC president Jean-Claude Juncker and EP President Martin Schulz; and, for the EC, several editions of Green Week, the European Mobility Week Awards and EU Sustainable Energy Week Awards. Katrina studied languages at Oxford University and speaks French, Russian and a (smattering of) German in addition to her native tongue. For further information please contact Maja Drča (maja.drca@beveragecarton.eu).